Learn more about privacy and take control of your digital identity! 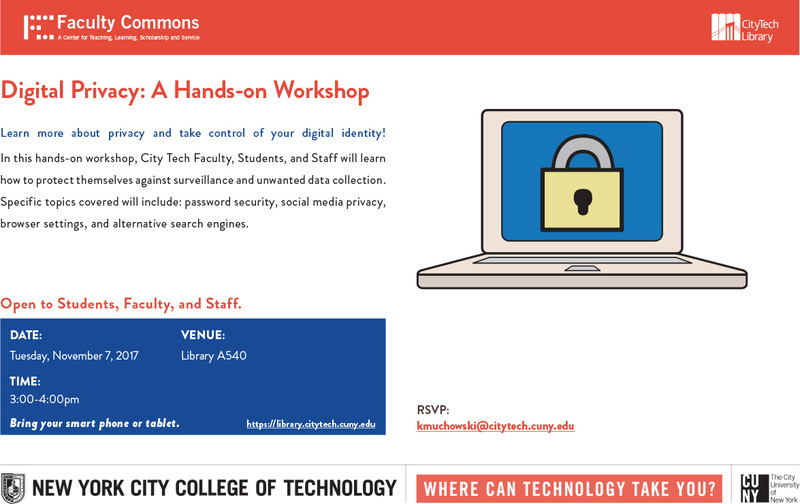 In this hands-on workshop, City Tech Faculty, Students, and Staff will learn how to protect themselves against surveillance and unwanted data collection. Specific topics covered will include password security, social media privacy, browser settings, and alternative search engines. Bring your smartphone or tablet.